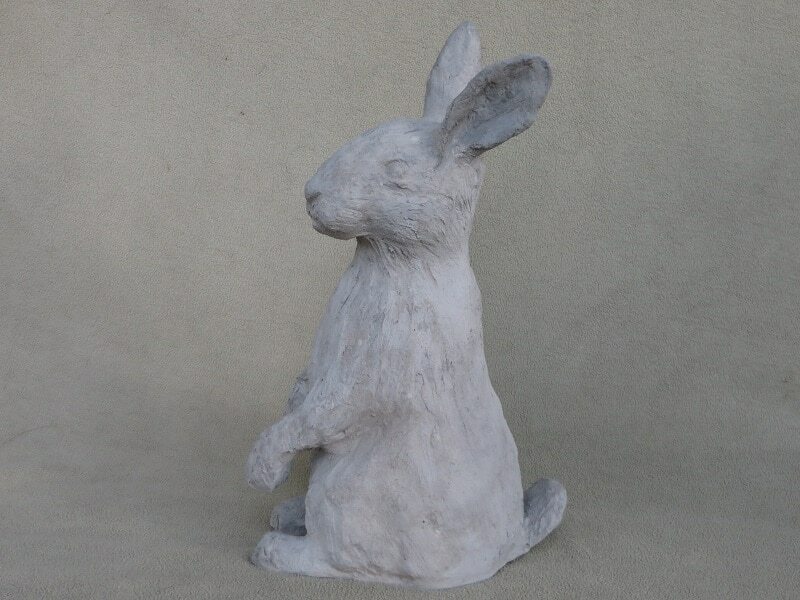 Our friend Eileen is back with another guest post, and this time she shows us how she made an adorable rabbit sculpture from a new sculpting material called Pal Tiya. It isn’t quite finished (she’ll be painting the bunny in a few weeks) but she agreed to show it to us now because I couldn’t wait to see it. 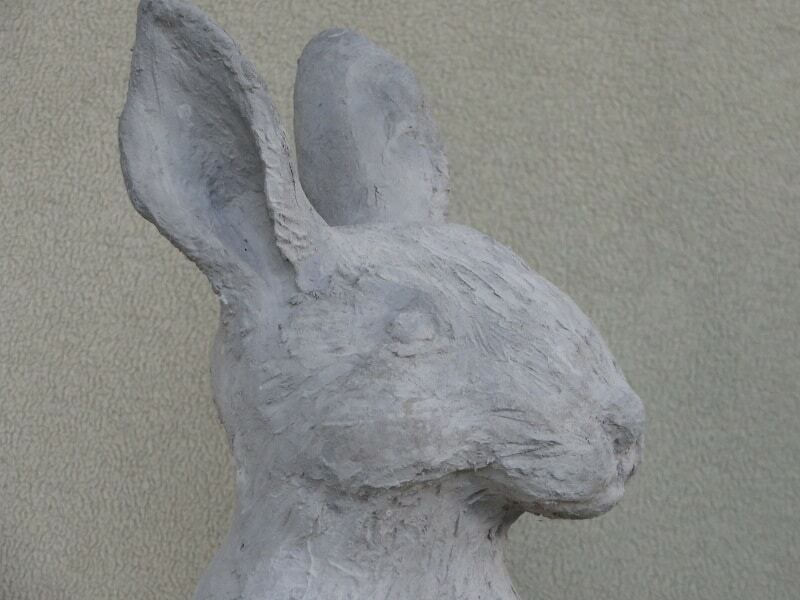 We’ll get a second peek after the outdoor rabbit sculpture is painted. Thanks, Eileen, for writing this for us! 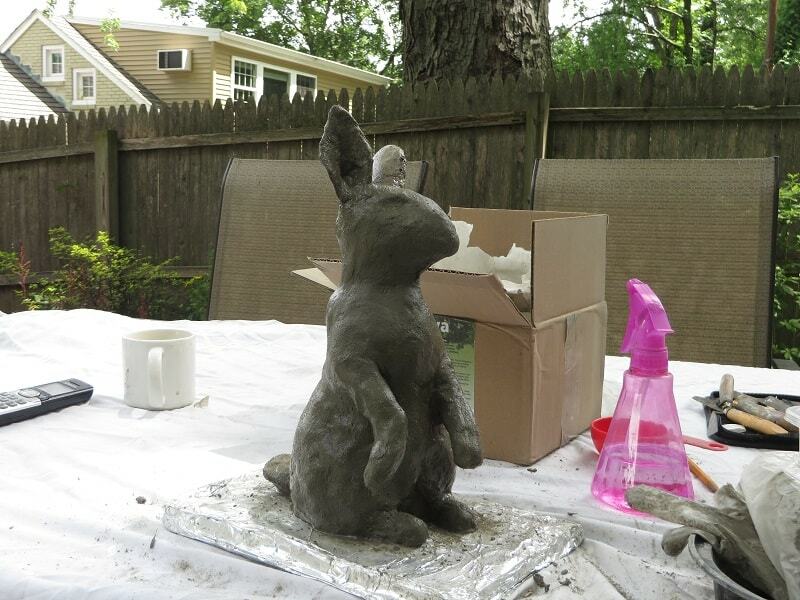 How I made my outdoor rabbit sculpture. Recently, Pal Tiya has come to the USA and some of us have been itching to try it out. One of the biggest problems with our beloved paper mache is that we have not been able to figure out how to make it weather proof. In comes Pal Tiya! It is totally weather proof, impervious to cold and heat and most importantly, to water. An armature needs to be prepared prior to any clay work. a base covered in tin foil. I used a scrap piece of wood. Make an armature similar to the way we make the armature for paper mache. Use tin foil instead of crumpled up newpaper as the heavier clay will need a sturdier base. The use of wire and other supports are not needed unless you will be doing very large, climbable sculptures. 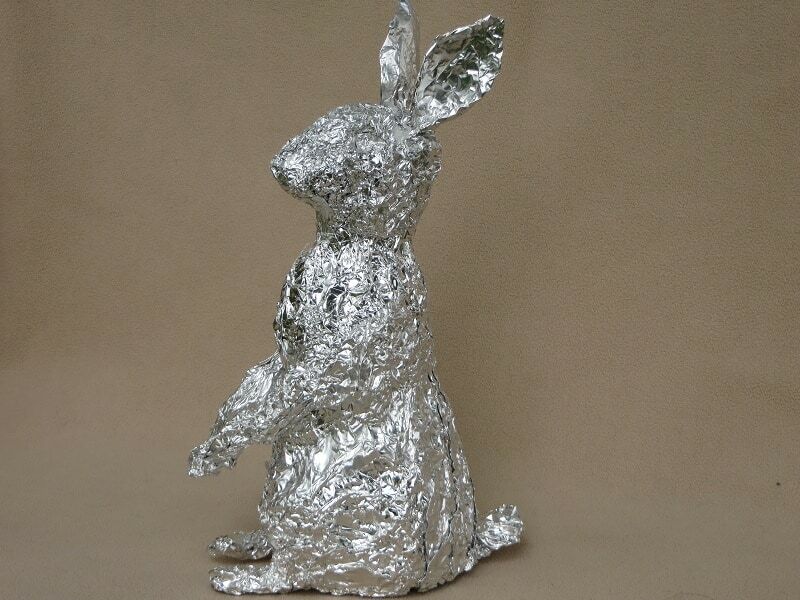 I decided on doing a rabbit, found a reference for the pose I wanted and made the armature out of tin foil. Start out loosely packing the tin foil and then press in later for details. I started off with a cardboard tube to work around so I would have something to build upon. For the ears, I folded up several layers of the tin foil to make it really strong. This was the one area that I could see a weakness in my design. 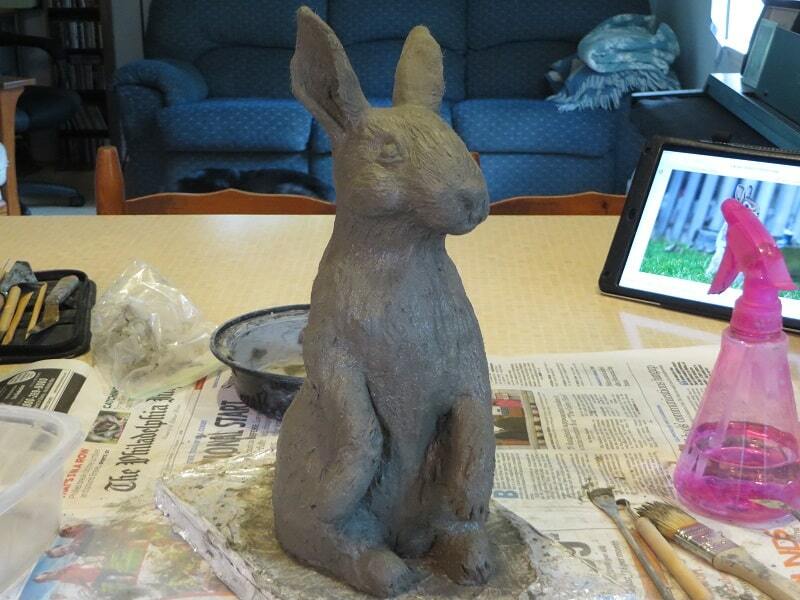 I did not know if the ears would hold up once the clay was applied, or if they would collapse. They did not! Yay! 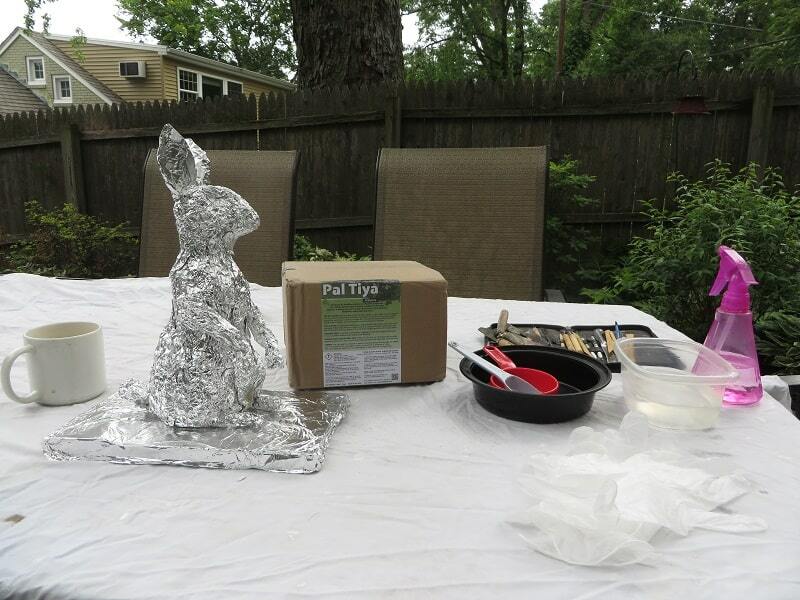 Foil armature for waterproof rabbit sculpture. Wear old clothes as it does have cement in it. My sculpture is about 1 foot high and I opted to make small amounts of the Pal Tiya at one time instead of using a mixer. Kim Beaton has a good video on her website telling just how to mix a small amount. Follow her directions exactly to get the right consistency to work. First, I covered the whole thing with a thin layer of Pal Tiya. It is supposed to start out about 5mls thick which is slightly less than ¼ inch- pretty thin! I then started on the details, starting with the face, ears and forepaws. Occasionally, spray the sculpture with water to keep it moist. Continue adding on until the sculpture is done. Fine tune your details. In paper mache, we want our sculptures to dry quickly, not so with Pal Tiya. When you are done sculpting, spray the whole thing with water and cover with a plastic bag for 1 day. The following day, spray it again and cover with a wet towel, cover with the bag again. This is why you need a base, so you can move it to a safe place. Now it must sit for an entire week. Pal Tiya needs to cure slowly to be as strong as possible. They say it is 80% cured in the first week, totally cured in one month. patience is needed to wait the week and resist peeking. 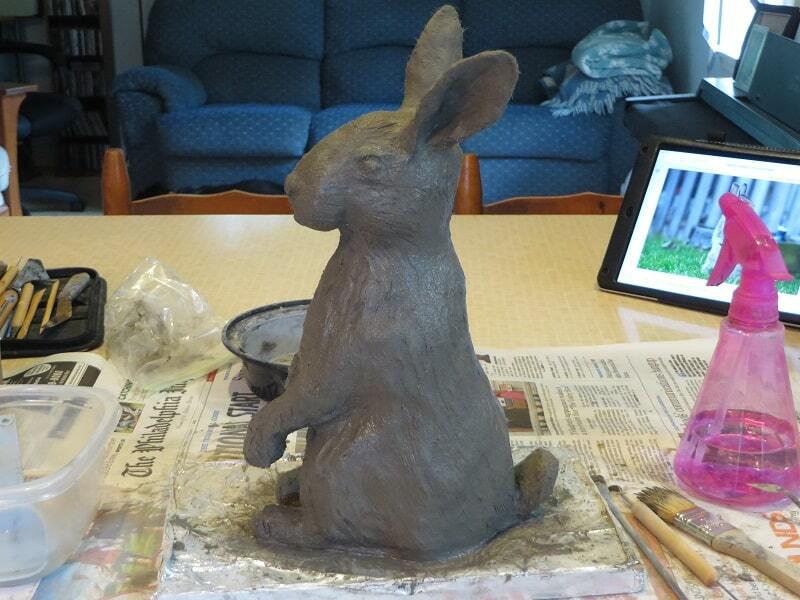 Here are a few pictures of the finished rabbit. It is blotchy in color which appears to be lessening as it cures. Obviously some areas were thicker and wetter than others. Eventually the color will all be the same. 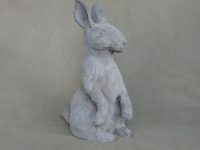 It is a fun sculpture medium that is more like sculpting in ceramic clay than in making a paper mache project. It is pliable, does not crumble and it does do exactly what you want it to do. When mixed properly, it is easy to add and subtract clay as needed. You can see the fibers when mixing but not so much when sculpting. I did not mind the fibers as my sculpture is furry anyway. Gloves too thin – I ran into some difficulties with using the gloves because my gloves were too thin. Doubling up on gloves solved that problem. 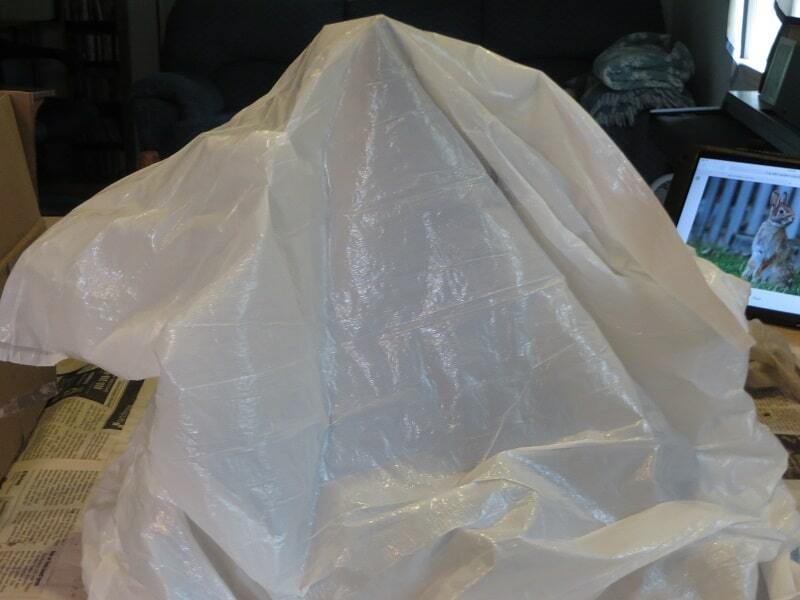 Do your project indoors – I had started the project outside. It was a cool, overcast day and I thought to keep the mess outdoors. Not a good idea…before long the sun came out, the wind kicked up and started the sculpture drying out too quickly. In I went, making double the mess, oh well. Print your reference photo – Another problem I had was that my reference photo was on an Ipad. I would advise to print one out because the Ipad kept timing out and you can’t touch the screen with cement on your gloves! Finish in 2 hours – With Pal Tiya you get about 2 hours of manipulation time for the initial sculpt. I had wanted to finish the project the first go around and I had just enough time to do that. I probably would have spent more time on the fur details but it was getting too hard to make the marks that I wanted. You are able to go back and add some more the next day if you score the area you want to add to. For the first project, I just wanted to complete it on the same day. Added note – make sure to use outdoor hose to clean up tools and the like. Cement can/will clog your pipes. And to see how the rabbit looked when it was finished, click here. In all, a fun medium. In a few weeks I will paint the rabbit and will update you with photos. Happy sculpting and if you choose to try this medium, please remember to send pictures! I am in the U.K. and sculpt critters in paper mache (using paper torn from magazines for colour, no paint used) over wire armetures and have just received my Pal Tiya pack! I’ve never been able to site any of my work outside before. I’m on vacation until mid August and a bit apprehensive about the mixing of it when I get home, but excited to start! I’m not sure how large a project it will be as it is a small trial pack. Shall I let you know how I get on? P.S. I post work in progress pics on my Facebook page as I create my mache creatures if of interest to anyone. 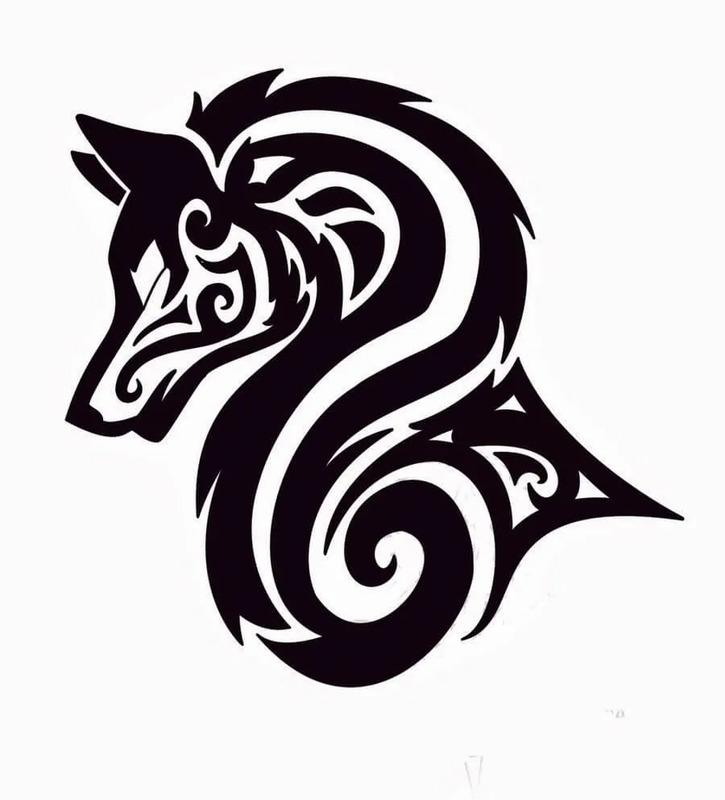 Hi Sue – yes, we would love to see your Pal Tiya project in progress. Feel free to post as many photos as you want. And I hope you have a great vacation, too! Joni, so fun to see you experimenting with Pal Tiya, I have been watching your you tubes for ideas of armatures. I make outdoor fabric sculptures so your hints are very helpful. I have been interested in the Pal Tiya when I found out about it a number of years ago from some New Zealand friends. I am signed up on their newsletter and the US base is pretty close to my Canadian home. Some day soon I hope. Your talent as a paper mache artist and the weather proof Pal Tiya… a great match. I took a look at your website, Lise, and I really like the fabric sculptures. Can they stay outside all year? I miss read when I saw the article and then your name. Yes the sculptures I make can be outside as long as we use natural fibers. It is a water based polymer and saturates the material making it weather/ water proof. I have some great pictures of one of my sculptures experiencing our very unusual snowy, ice storms this past winter. And she looks as good as new. I see you do workshops, too. That must be a lot of fun. Do you have any videos on your site that we could watch that show us how you make the fabric sculptures? I made a horseshoe crab, small and not too much detail necessary, as my first Pal Tiya project. I learned that I have to wait till the Texas heat cools somewhat before working on my large project, jaguar cubs. Is your rabbit open or closed on the bottom? I have the aluminum foil armature ready for one jaguar cubbut can’t work on it till about November, so I am planning for all the details. I left the rabbit open on the bottom, if turned over,you can see the tin foil. I did see one of Kim Beaton’s videos where there was no opening, so I don’t think it matters. Will you show us your horseshoe crab? 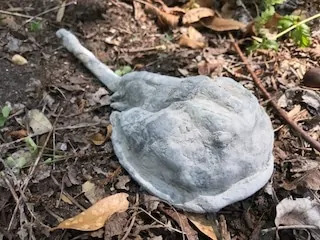 Did the heat dry out the sculpture too fast? Is that why you will be waiting for the next one? I’m sorry for such a long delay in responding! The Pal Tiya started to get hard almost as soon as I mixed it because it is so hot here. The room I worked in was 83 or 84 degrees F. I am learning and can’t work fast enough. During a cool snap we had a few weeks ago, I made another small piece. It was much more fun! And here is the horseshoe crab. It’s so realistic – great job, Robin. And I hope you win the Pal Tiya competition! Oh he is very cool! Did you say that was your first project? You must have sculpted before! My next question was going to be to see if you entered the contest but you already stated you have. Good luck! I hope someone from Jonni’s site wins! Question- do you have horseshoe crabs where you are? I thought they were an east coast thing. I had made two paper mâché sculptures before the horseshoe crab, a cat in 2015 and a mixed media elephant piece with paper mâché relief. I decided in 2014 that I wanted to figure out how to work in three dimensions. When I was growing up, I spent a lot of time at my grandparents’ house on Longboat Key on the Florida West Coast. There was a natural beach next door where horseshoe crabs returned every year for breeding. They were fascinating. Kim will often just leave it as it is. Jaguar Cub sounds fab!! The Pal Tiya rabbit is wonderful and the Pal Tiya sounds like a great medium to work with! Please make the snapping turtle and post about it! Can we still call it “Paper Mache”????? No – it isn’t paper mache. For outdoor sculptures, it’s much better than anything made out of paper. No, if I was to show a piece,I would label it as Pal Tiya-that would open up a whole line of questions for sure. It is just another form of sculpture. It does have fibers in it, I think from cellulose but it is definitely not paper mache. Great looking bunny! Thanks for sharing your inspiration! Eileen, how big is your rabbit? It looks like it might be about ten inches high. Am I close? Did you use all of the material in your eight pound package? Jonni, It is about 12″ tall, so you were close. I did not use the whole 8 lbs, maybe 1/2 of the package. I will be able to make another-my daughter really wants some mushrooms for her garden. That is cool that you received some in the mail. Perhaps one of your grateful readers knowing funds are tight? You should use it and do a tutorial in case it was a reader. I would love to see a snapper. I have done one and given it away to a turtle lover friend. She even puts a bow on it at Christmas time! I have seen them lay eggs as well. Hundreds of ping pong ball shaped eggs-the one I saw laid on the bank of the pond across the street from us. A great teaching moment for my kids, the wonder of nature and all that. Yes, do it and forget the online business for a bit! Eileen, this is marvelous. What a beautiful little creature. (I just finished my jackrabbit. Not finished. Can I send it to you for touchups. You have done such a wonderful job with the face and body.) First class. Marilyn, yes it is a bit pricey but this one only used about 1/2 of the 8 lb pkg. So, I can make another small sculpture. I think their next stop is to get it into the U.K. I would check their website to see when that will be. This was a total splurge on my part. If I use it for sculptures that I sell, I will just include the price of the product into the total. An 8 lb pkg is supposed to be enough for the size of a cat-they have a chart on their website to show how much one would need. However this looks like a pop-up store as it states “delivery June 2017”. I cant wait for it to come to Australia, looks like a great medium! We had the shipment of Pal Tiya over to the UK and it sold out very quickly. Our aim is that we are gathering the best ceramics teachers to train in Pal Tiya Premium this year and will be running classes here in the UK! Wow! Thank you so much, Eileen, for sharing about this product, and the clear instructions and tips!